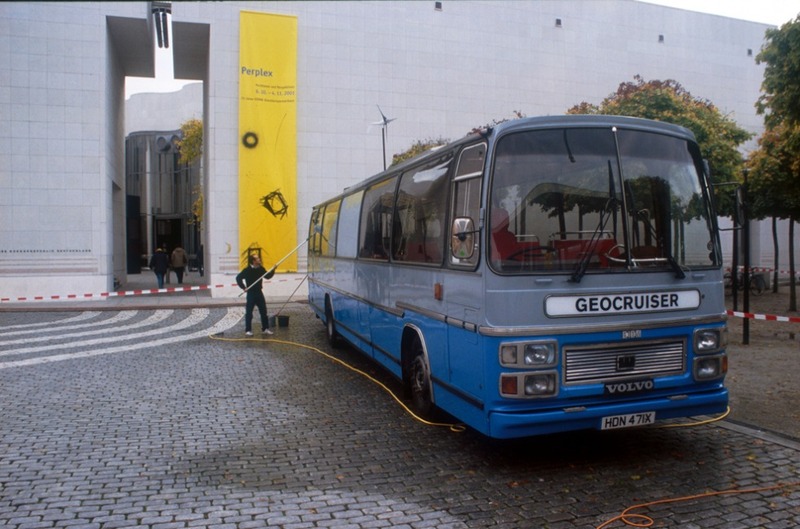 The Geocruiser was a mobile public sculpture. 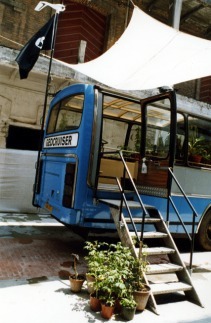 A redesigned coach that had a greenhouse built into the back and a reading room in the front. 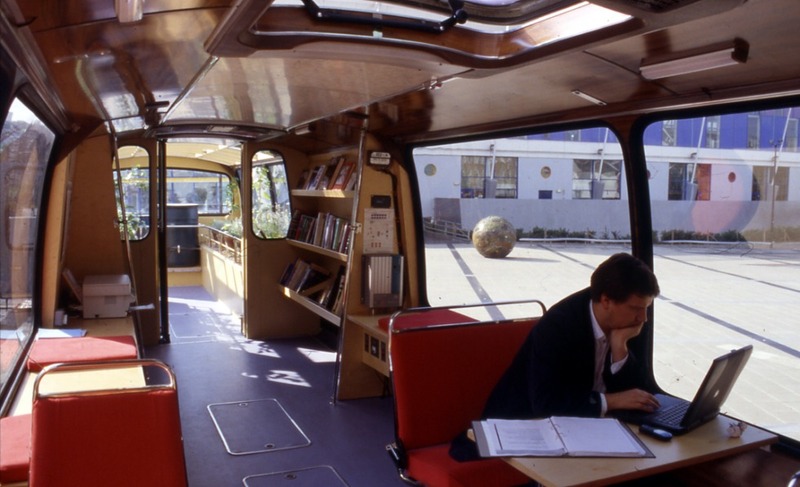 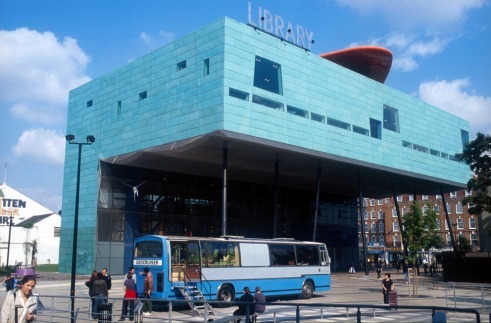 It contained a small library and information center devoted to city gentrification, experimental city design, radical gardening, sustainable design, alternative energy, and utopias. 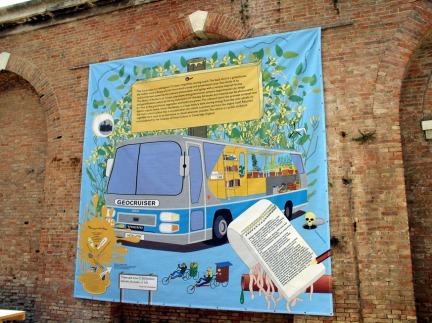 Some read it as an “Eco-Bus,” but that was just one element of its function as a mobile propaganda machine. 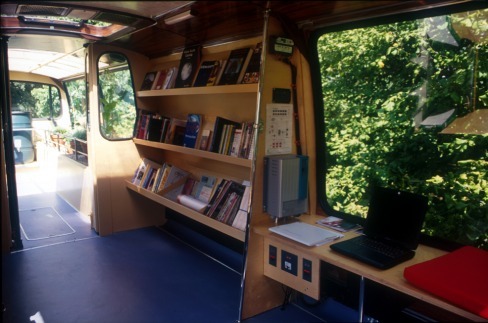 Onboard was a solar-powered photocopier and laptop. 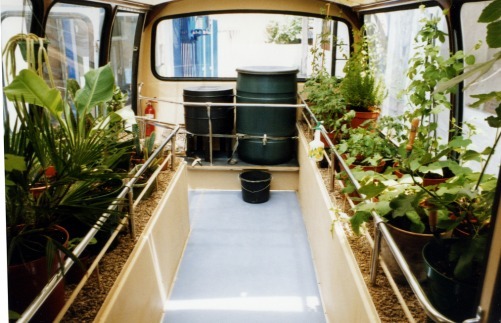 It also had its own wormery, which was used to compost and recycle organic waste. 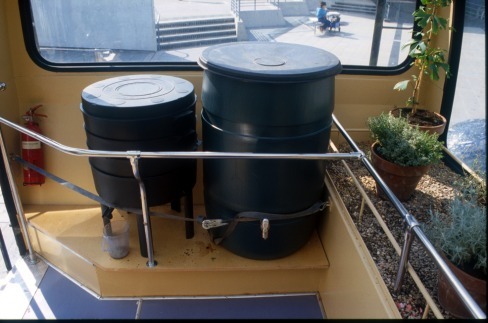 The mobile greenhouse successfully grew herbs, vegetables, cacti and succulents. 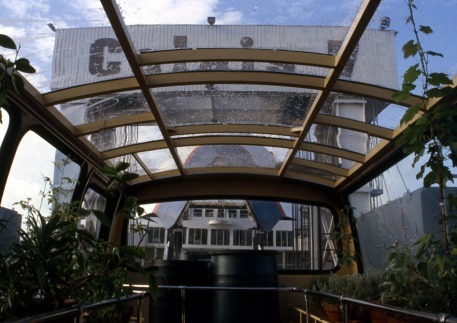 Heavy condensation would form on the inside of the greenhouse's plastic roof panels at night which would then irrigate the plants below as the bus vibrated and shook when started up in the morning. 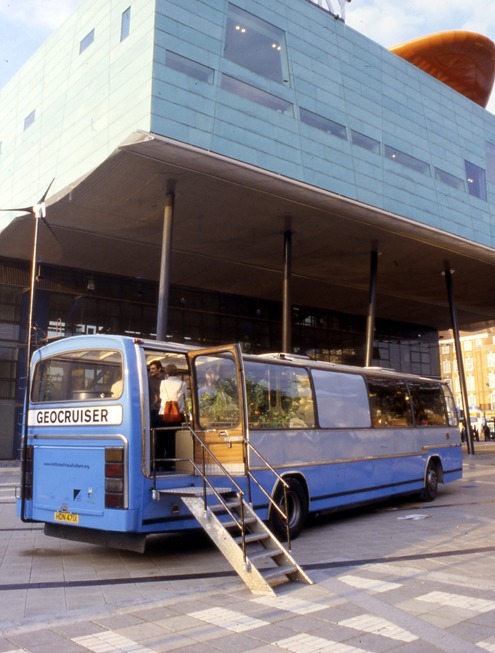 After touring europe, stopping at schools, parks, town squares, museums and libraries the Geocruiser was decommissioned in 2004. 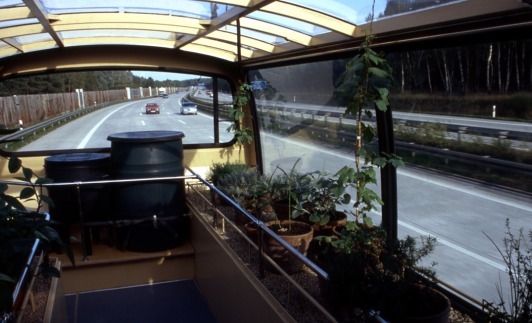 The vehicle was then bought by a family for a nominal fee, they redesigned parts of the interior to make it more livable. 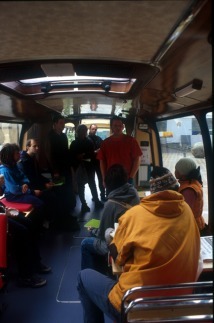 It was last seen driving around Wales.